Until March 31st, buy any Alchemy sound library and get another free. For the next three weeks you can choose any two Camel Audio Alchemy sound libraries on www.camelaudio.com and you'll get the equal or lower value one free. Simply add two or more libraries to your cart and the discount will automatically be applied. 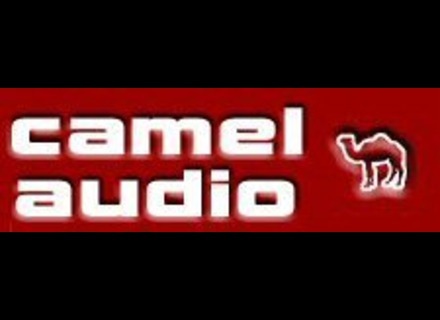 Camel Audio adds that Taste of Camel will be included with all new orders and if you don't own Alchemy, you can get a 20% discount on the synth and will pay 159€ instead of $199. Camel Audio Biolabs: Light Space sound bank Camel Audio announces the availability of Biolabs: Light Space a new sound bank for the Alchemy Player and the Alchemy synth. Camel Audio Shlomo Beatbox Camel Audio has released Shlomo Beatbox, a Sound Library for Alchemy and the Alchemy Player, featuring manipulated beats and vocal instruments. Camel Audio Alchemy v1.5 Camel Audio has released Alchemy v1.5, a major update to their sample manipulation synthesizer.